Within the walls of the Autofuss studio lies a collection of people that not only appreciate an amazing job, but the opportunity to do that job in the loving company of our 'fuss family. Autofuss family member and personal friend, Bradley Munkowitz (GMUNK), is a frequent presenter at OFFF and brought the Cincinnati 2014 titles home with a concept that made the whole studio glow. While working on this project I witnessed the studio explode with a level of collaboration, positivity, love, and personal fulfillment that I will never forget. I can say without a doubt that this was the type of job that made each of us grateful to be at Autofuss in this moment in time. The concept was to allow each artist to take a presenters name and create a unique scene or method to display the type by practical (physical) means. By building each scene in a different room of the studio, the camera travels around the studio capturing the emotional and physical environment of Autofuss. With the mad scientist filming magic our DP Joe Picard is known for, the positive attitude and knowledge-to-do-just-about-anything of Andrew "DaPants" Devanksy, and the amazing mood of collaboration and trust instilled by GMUNK...we created a wonderful memory and title sequence alike. Cocolab's work is an amazing collection of art that often transforms an entire room into an immersive environment. Either by manipulating the physical world, or by using projections to transform it, their work is attention grabbing and stark. Using these factors as inspiration, we looked into our minds and searched for an aesthetic that could hold these qualities. Another opportunity to team up with good friend and frequent collaborator Mike Williams, the days and nights devoted to creating this title sequence were the highlights of the week. We came up with a visual language and technique that not only spoke to us personally, but hopefully to COCOLAB's artist's as well. 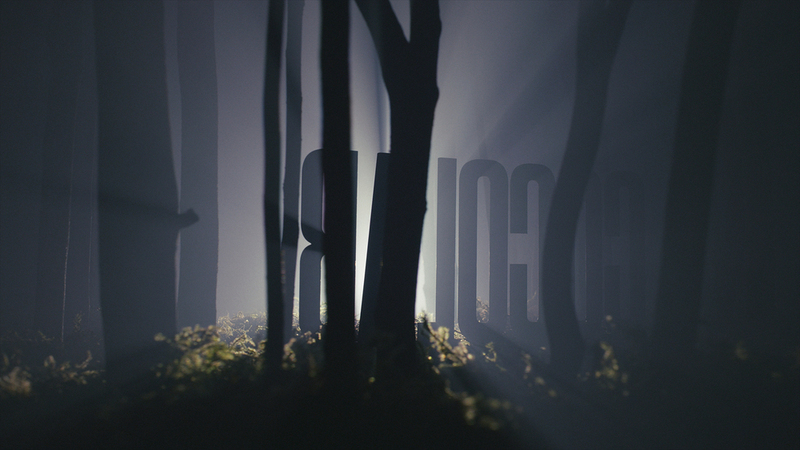 The COCOLAB title puts you into the dark mist of a foggy and forgotten forest. 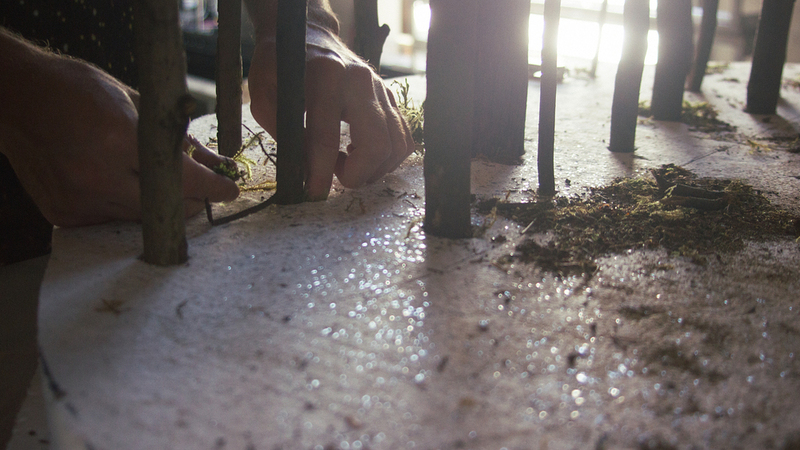 Using real moss and branches, we hoped the texture and cadence would put the viewer on his feet, as if standing in the forest her/himself. The entire rig was enclosed in a small 'hot box' made of mat-board and blankets, then filled with dense fog. A projector sitting directly across the scene, facing the camera, played simple line-work animation. 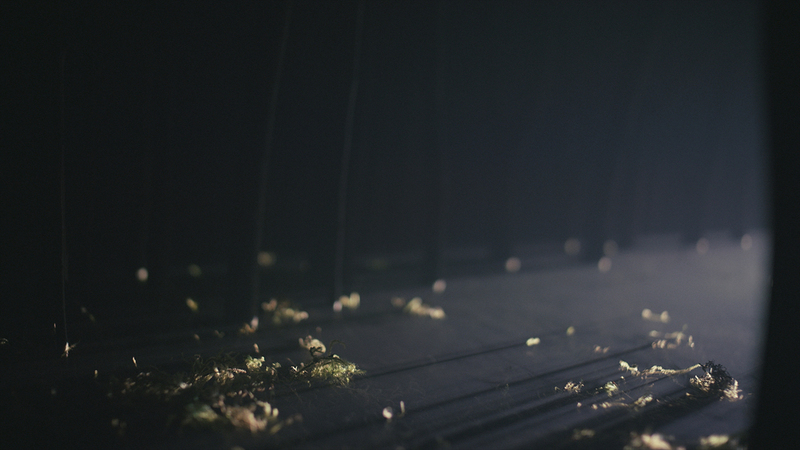 When shot through the fog, the animations transformed into physical lines and shapes cutting through the trees and moss. While my main task was the COCOLAB titles, I had the pleasure of assisting the talented Jason Kerr's section for James White. 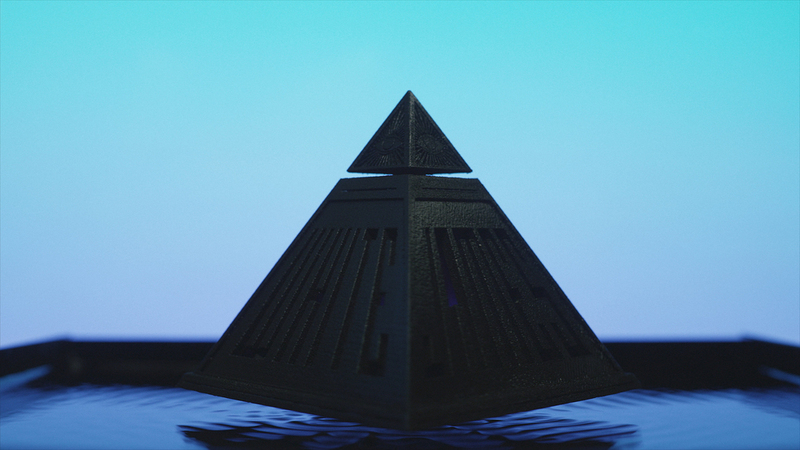 Jason designed a beautiful 3-D printed monolithic pyramid tribute, internally lid by LED's. Using a simple maglev device the pyramid floats freely in mid-air. I was able to assist by designing an environment for the pyramid. The entire design, production, and testing period for the environment took place in a single day, but the result was wonderful. By building a small water-tight tray out of black acrylic, we could intelligently hide the maglev beneath the thin basin of water. The whole rig was suspended above a large monitor speaker on a small table built specifically for the props. Using Ableton and a simple midi controller, a variety of low frequency synths were manipulated live to create a range of beautiful wave patterns on the water's surface.